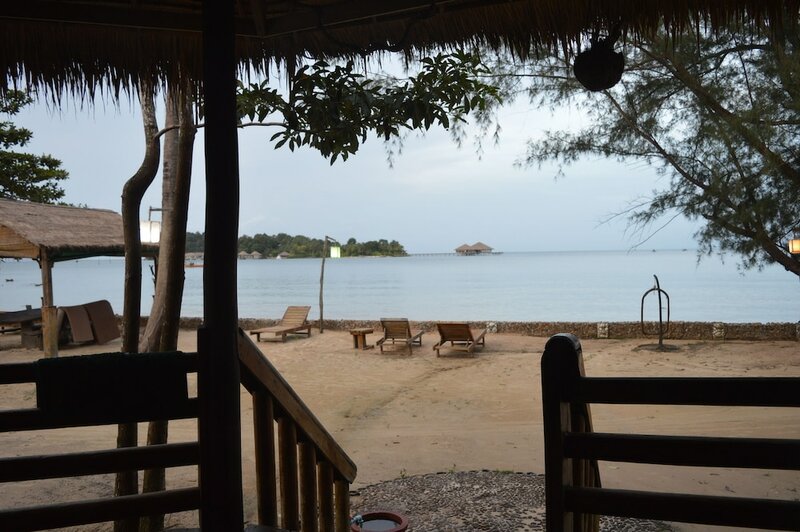 The best hotels in Koh Rong are perhaps not the most glamorous establishments in the world since the little island paradise and its even sleepier neighbour, Koh Rong Sanloem, are noted for the fact that they are mostly undeveloped. While you won’t find any five-star big-brand resorts, what you will find are some really beautiful and comfortable places, with well-appointed rooms and modest but high-quality facilities, often in stunning locations. The most popular Koh Rong resorts range from simple guesthouses and beach bungalows with a cool vibe to modern villas with a large shared swimming pool. 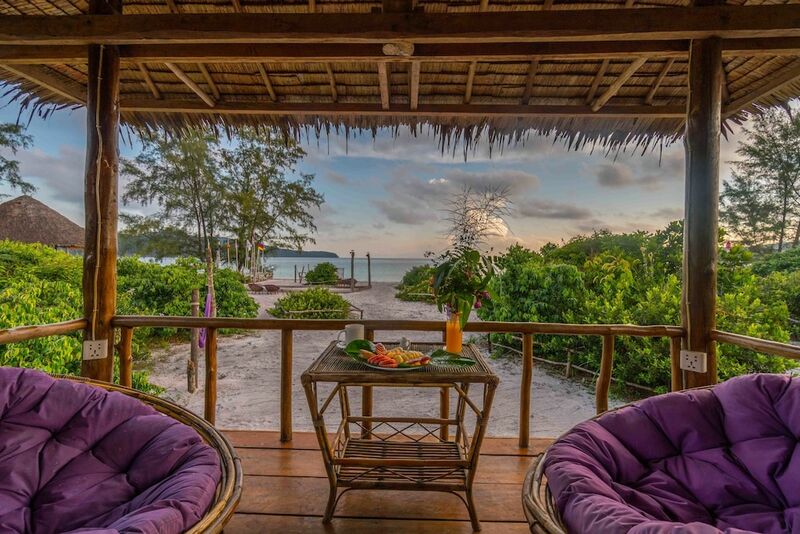 Many are situated around the more popular Koh Rong beaches, but some are a little further away and enjoy very peaceful, private positions. 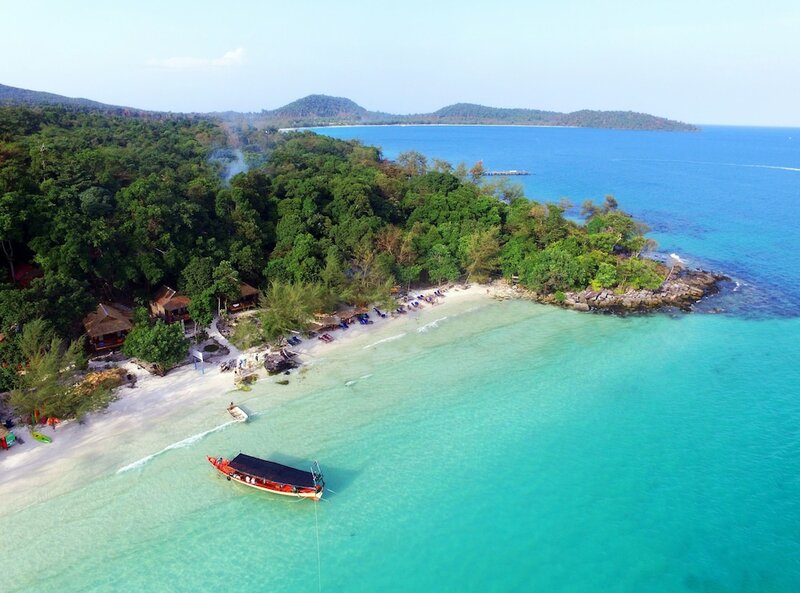 It is important to remember, when booking your Koh Rong hotel, that getting around these tropical paradises is not that simple, so take note of where each option is and how far it is from other facilities and attractions.